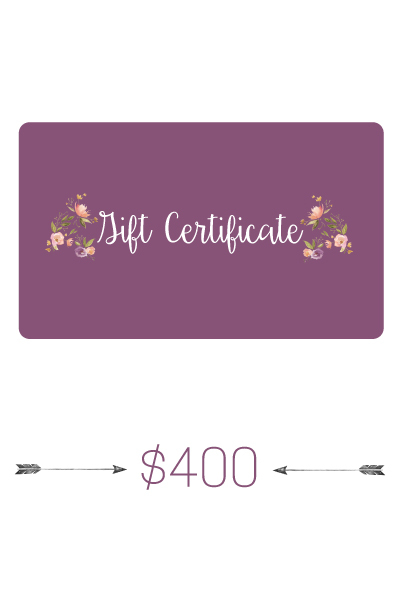 A $400 gift certificate redeemable online and in store. A perfect gift for that special someone who has it all but has space left in her closet! Coupons never expire and are good for any purchase at PB&J Boutique. Upon purchase of the gift certificate, the certificate code will be issued to the purchaser for immediate use while the physical gift certificate will be mailed to the ship-to address.